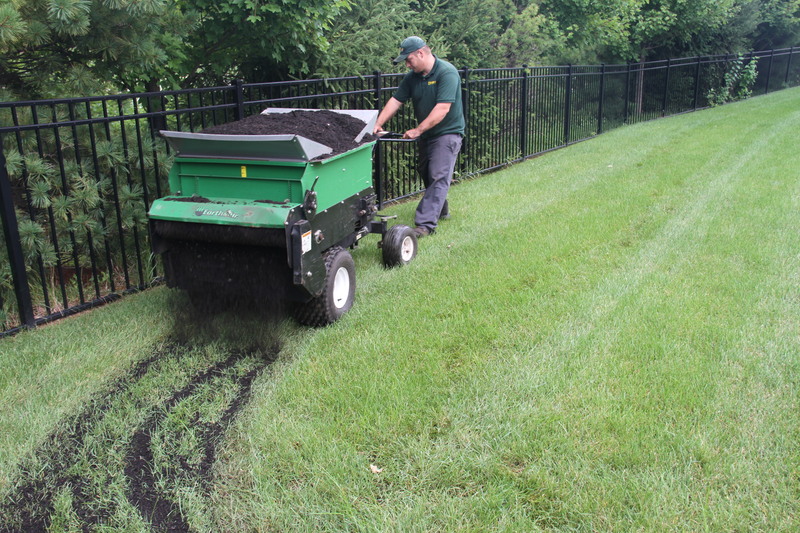 We answer the most frequently asked questions regarding fall aeration and overseeding including flagging, watering, leaf cleanup, fertilization, mowing, scheduling and more! What needs to be flagged? Flag all irrigation heads and valve boxes. Flag the invisible dog fence approximately every 3 feet. 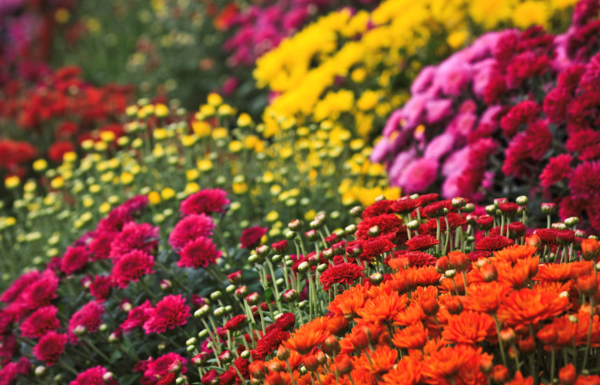 Mums are a great way to add a pop of color to your outdoor space this fall. Planted in-ground or in pots, mums keep their color through the fall season. With a variety of rich colors available, your landscape will be on display! Other fall options include kale, strawflower, pansies, snapdragon, asters, and more! Plant bulbs such as tulips, daffodils, and hyacinth this fall and watch your landscape explode in the spring! Nature's fireworks will burst with different hues and shapes to make you the talk of the neighborhood. Unique options include alliums, amaryllis, snowdrops, and the early blooming crocus. Aeration and Overseeding is Underway! 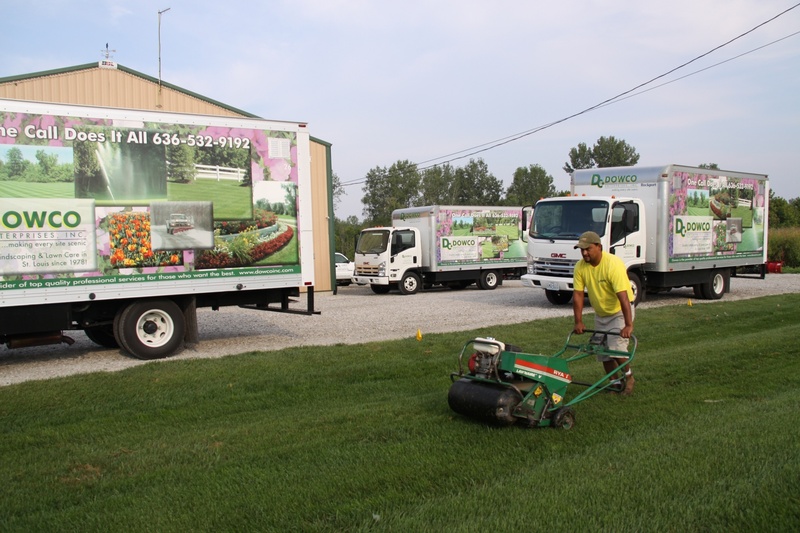 Many of our clients are schedule and preparing for their upcoming lawn renovation! Obstacles such as irrigation heads, landscape lighting, gnomes and underground dog fences must be flagged. Water your lawn thoroughly so it has a good moisture content and can be deeply aerated. 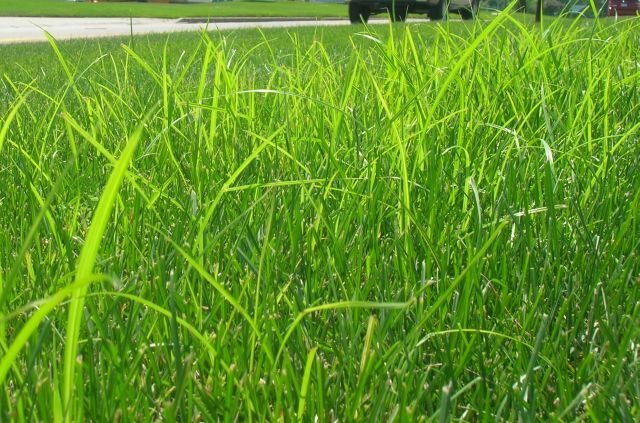 Did you know that a single blade of grass only lives 40 days on average? Each day our lawns are working to produce new blades (called tillers) to replace the old ones. 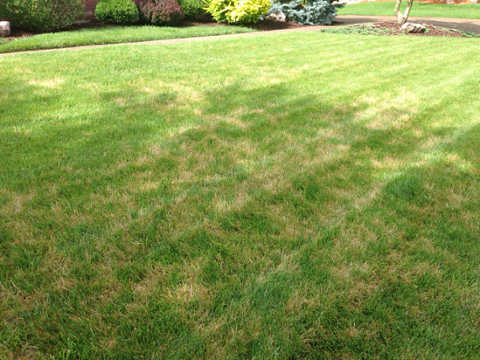 This is why some lawns begin to thin out or look tired over time. Many people already knows the benefits of aerating and overseeding the clay soil here in St. Louis, so then they start comparing prices and values to choose a lawn care provider to perform a fall renovation. The cost of a lawn renovation is almost always directly related to the square footage of your property. Vendors apply a "secret formula" to come up with an average or standard amount of time and material needed to to cover the grounds. In St. Louis county, the average lawn aeration cost can range from $99 to $300. "Wait!" You might say. "This is quite a broad range. Besides, I've seen signs for aeration as low as $45!" Congratulations on a new home!! As soon as the keys are handed over to your new residence, the mindset of “protecting your investment” kicks in. One of the most beneficial ways you can protect and enhance your curb appeal is by making sure your lawn is green and weed-free. Fall is one of the best times to find a professional, local lawn care company in St. Louis to renovate your lawn. A new lawn is less than 5 years old, but you don’t get a “pass” just because you have new sod. When a developer decides to build a subdivision they move loads of soil to shape retention ponds, berms, and streets, and dig sewer lines. What ends up on the surface area that eventually becomes your yard may have previously been 5-15 feet below ground in the past. It is essentially dead soil, with no flora or fauna to carry on all the processes of healthy balanced soil. What you don’t necessarily see when you buy a home in a residential development, is the myriad of vehicles that have driven on and around what you wish to be lush, soft turf. Pick-up trucks, concrete trucks, flatbeds with lumber and trusses, dumpsters, shingle deliveries, and appliance and window deliveries all take their turns. When the house is first being built, crushed limestone gravel is distributed around to eliminate slugging through the mud. All of this adds up to a compacted, unstructured soil that is fairly impenetrable to normal percolation of rainwater. So what are the first steps? Your lawn, flowers, trees and shrubs are in a heat advisory. Please be alert to the following warning signs of drought and adjust your watering as needed. As soon as the summer heat wave is over you're going to start seeing signs and hearing St. Louis lawncare companies talking about fall lawn renovations. How do you know what is best for your lawn? Here are a couple tips on how to compare and choose a St. Louis lawn renovation company for your property. One very important factor to consider when pricing out your lawn renovation is how many passes are being done during the aeration. At the minimum a double pass is recommended to get the most value out of your investment. A double pass means the aerator will do a checker-board pattern of the lawn, completing one entire pass of the lawn in one direction, and then a second pass perpendicular to the first past. With the clay soils in St. Louis, anything less than two passes is almost inconsequential. For new construction or severely compacted lawns, Dowco typically recommends going over the property multiple times. Comparing the amount and type of seed that the contractor is using is another way to compare your quotes. Ask for the lawn care contractor to tell you how many pounds of seed they plan to use. According to the label on seed bags, they recommend 3-7 pounds per thousand square feet depending on the current condition of the lawn. 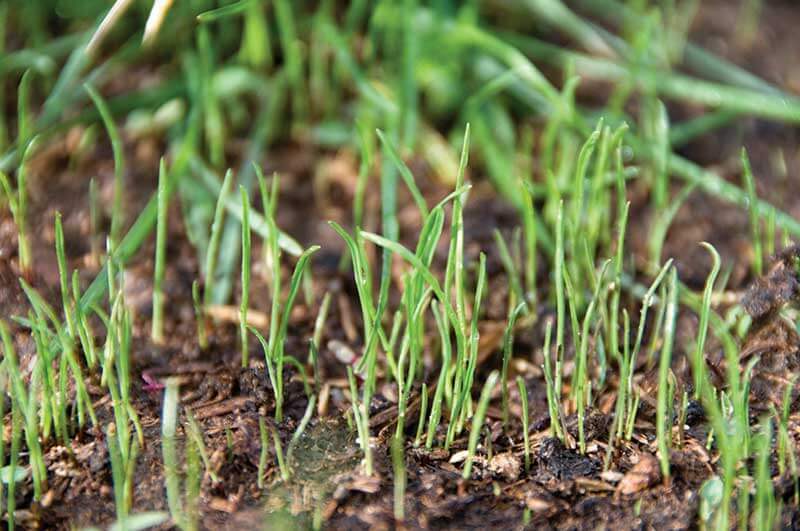 An established lawn may only need 3 pounds, but bare dirt would require 7 pounds or more. Have You Seen This Weed in Your St. Louis Lawn? One of the peskiest weeds in St. Louis, Nutsedge is an invasive weed that is lime green in color and has a waxy appearance. Nutsedge grows faster and pops up taller than grass and seems impossible to control. Many people refer to nutsedge as "water grass" or "nutgrass". 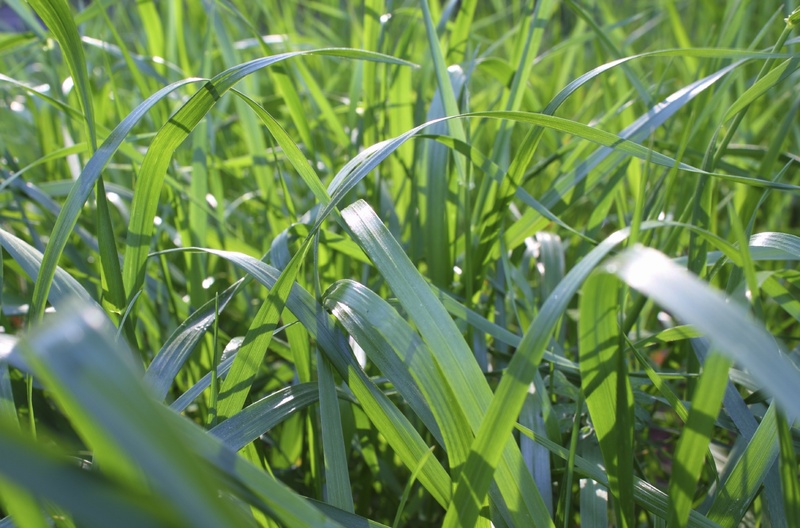 Botanically, it is classified as a sedge and not a grass which is why control is difficult. Nutsedge thrives in low spots and high moisture areas but can also surface in drier spots as well. Summer is upon us and our lawns! There are a few things you want to be on the lookout for as it warms up outside. 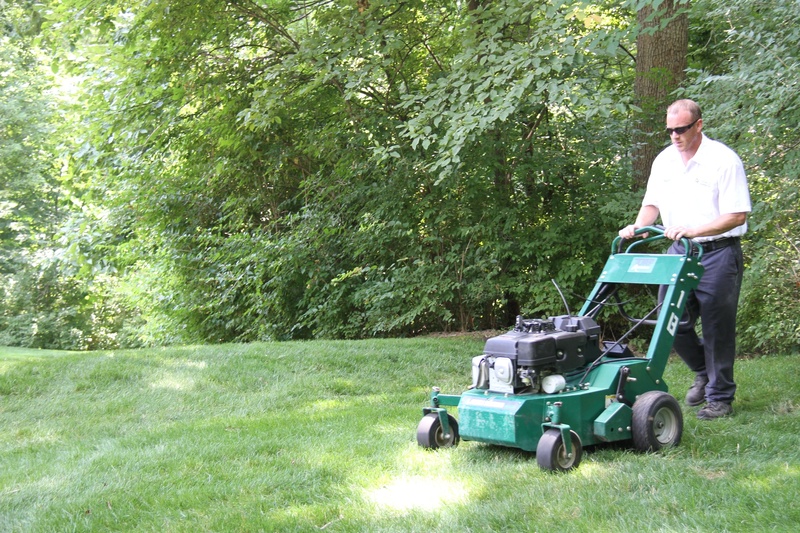 Aeration equipment removes 1.5 to 3 inch plugs of soil to allow moisture, air & nutrients down to the root zone. A double aeration takes the form of two passes in opposite directions. A triple aeration adds one more pass with the aerator, multiplying the opportunity for a successful lawn. Here is a specific list of 9 St. Louis lawns that will benefit from adding compost to their lawn this fall. 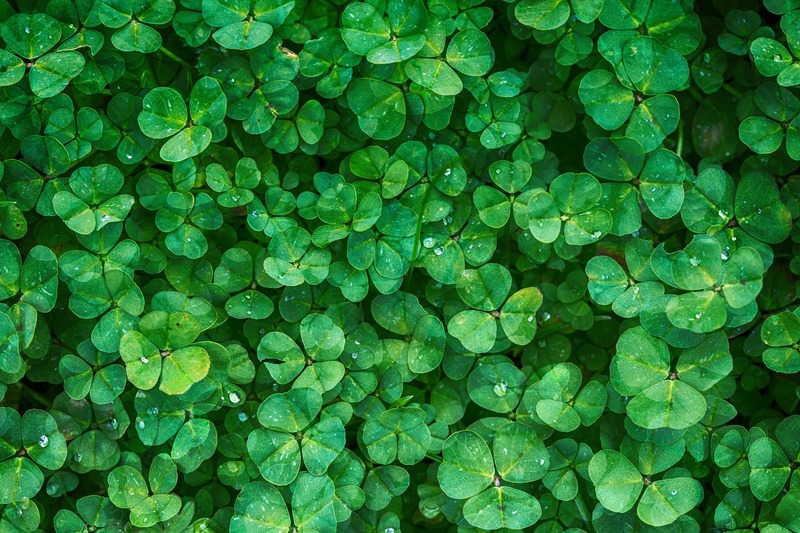 When it comes to caring for a lawn, everyone will need to get rid of weeds at one point or another, and for many it is a constant battle to keep weeds under control. The younger your lawn is, the more susceptible it is to weeds that will grow in between the young and relatively weak blades of grass. While choosing a weed killer and applying it properly are essential to kill the weeds successfully, timing the application will help increase the number of weeds you affect.